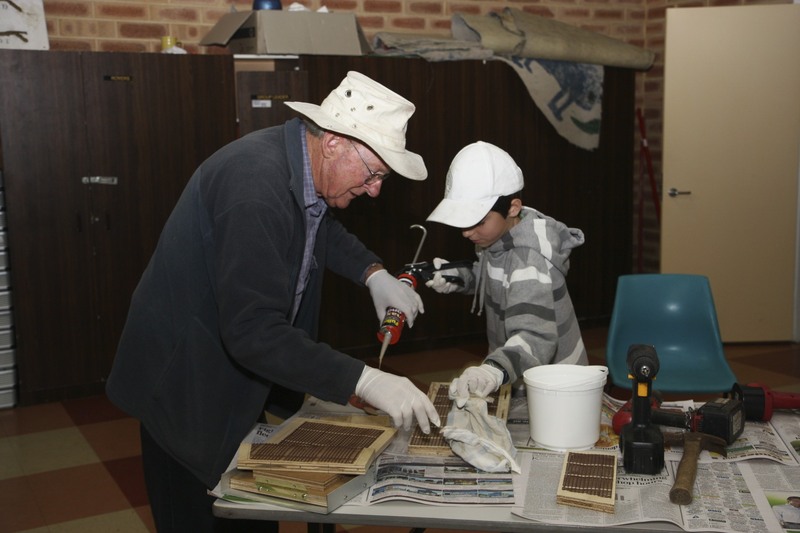 A group of caring participants came together and completed a bat box building workshop at Bibra Lake. They watched a slide show presentation which ,amongst other information, had unique bat videos filmed locally. After learning about some interesting facts on the local bats they entered the building stage. Ten timber boxes were constructed using screws, liquid nails and wood joining biscuits. After the new homes are completed they will be installed throughout the Bibra Lake Reserve waiting for the new tenants. Details and photographs will be posted as the bats take up residence. This entry was posted in Past Events & Workshops and tagged Roosting box for bats, wildlife nest boxes. Bookmark the permalink. Hi Joe, have you posted information on the location of the bat boxes and whether they have been inhabited yet? I cant seem to find it and my son Leeuwin who attended the workshop is keen on finding out where his one is.